Transportation is so important in today's world. Most of us have reliable vehicles, but there are times when you're left without a car due to repairs. Or maybe you just need a late-night ride home after a fun evening. 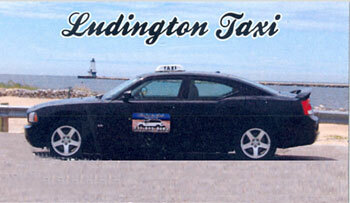 Call Ludington Taxi, serving the greater Ludington area. Smaller towns don't have a lot of choices in public transportation, so we're lucky to have Ludington Taxi. 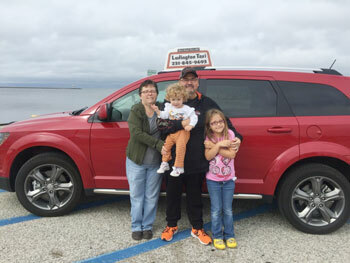 Local residents Kim and Dennis Padron are the owners of Ludington Taxi, and have been in business for over 13 years. They are the longest running taxi service in Mason County, and are commerically insured. They pride themselves on their friendly service and clean, well-run vehicles. They operate 24/7 and get you to your destination quickly and safely. 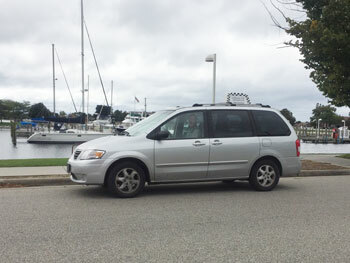 Ludington Taxi has a variety of vehicles, including a 7-passenger van to accommodate your large group. They offer an unlimited range and will take you anywhere you need to go. Call ahead to reserve a timed pick-up, or you can depend on them for last minute rides. Rain, snow, sleet....nothing stops the efficient service of Ludington Taxi. Ludington Taxi advertises that they are cheaper than a DUI, and it's true. When enjoying an evening out with friends, you don't want to drink and drive. Just one drink could get you in trouble. Don't take chances...Ludington Taxi can get you home quickly and for very little money. Never be caught without a ride again. 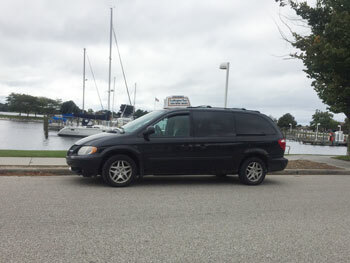 Ludington Taxi is always available to pick you up...anytime, anywhere. Call them at (231) 425-9693.